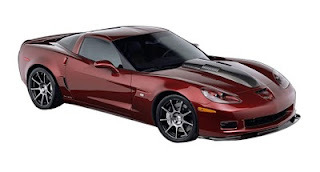 Great news for Corvette lovers: Uftring Chevy in Washington has recently received the rare distinction of becoming a Callaway Corvette dealer, one of only 28 in the entire United States and one of two in Illinois. As evidenced by the numbers this is a very selective club with very few members. This is an elite group that is an honor and a privilege for the dealership to be a part of, but also one they deserve as a lot of hard work has been put in to reach this point. It's great news for those who are shopping for a Corvette in central and downstate Illinois, the Quad Cities, Springfield, Bloomington, St. Louis, Indianapolis and beyond. What this means for our customers is that Uftring Chevy will have some of the absolute best, highest performing and most desirable Corvettes in the world. Uftring Chevy will be the largest and most specialized Corvette dealer outside of Chicago. If you're looking for a Corvette, look no further. Not only that, but the dealership has their own Callaway Specialist, Mark Grimm, the Director of Motorsports at Uftring Chevy. He is an expert in Corvettes and the Callaway products. He was born from the service department and brings over 30 years of experience with him. He has ties to the General Motors Corvette Racing Team and frequently attends races, where they compete against the likes of Ferrari, BMW, Porsche and more. He knows the ins and outs regarding everything concerned with Corvettes. He knows exactly how they can be modified and what Callaway's improvements and enhancements will mean for performance and capability. If you have questions about Corvettes and/or Callaway, Mark provides answers. He is one of 33 Callaway Specialists in America. These specialists are so rare that you can think of Mark as being a secret service member, Army Ranger and Navy SEAL all wrapped into one. In addition, Uftring Chevrolet will sell Corvette performance parts and can also install those performance parts right on site. Uftring Chevrolet will soon become a Corvette powerhouse, dealing in all types of Corvettes including Callaway, ZR1, Grand Sport, plus new and used Corvettes. Mark will also be writing a blog sometime in the near future where he will focus purely on Corvettes and the culture surrounding them. 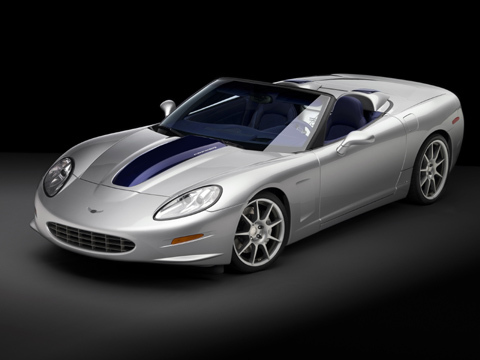 This will be a great resource of information and insight, so stick here for further information on Callaway Corvettes and the launch of Mark's blog.